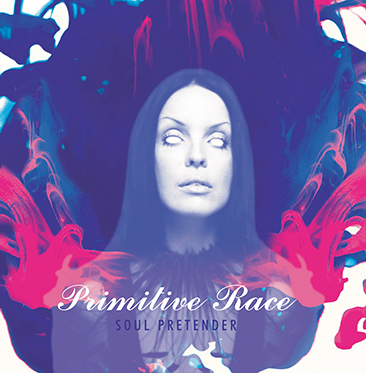 Primitive Race–featuring the incredibly diverse lineup of the late front-man Chuck Mosley (Faith No More, Bad Brains, Cement), bassist Chris Kniker (band founder), guitarist Mark Gemini Thwaite (Tricky, Peter Murphy), keyboardist and producer Erie Loch (Wiccid, Luxt, Blownload), and drummer Dale Crover (The Melvins)–released their sophomore LP, Soul Pretender, back in November to much praise, and then, 6 days later, the legendary singer passed away due to complications of lifelong addictions. Rather than folding or rolling back the album, the remaining members decided to continue pushing the LP to honor Mosley’s legacy, and have committed 100% of 2018 album sale to the nonprofit MusiCares Foundation to support substance abuse treatments for suffering musicians. To continue to grow this legacy, Primitive Race has also released a lyric video for the single “Cranial Matter,” the track which Kniker felt reflected Mosley’s storied history best. Grab a physical copy of Soul Pretender HERE and Download / Stream on iTunes, Spotify, bandcamp, and Amazon.